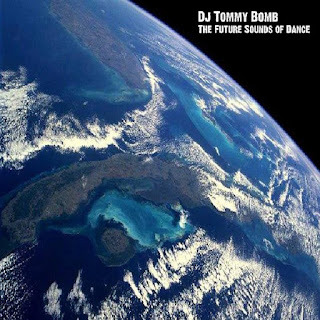 The future sound of dance is as the name explains as Dance club cd directed to the dance floor. 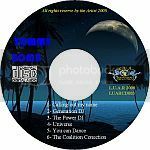 Cream sounds and flying notes with chanty voices for a relax but danceable atmosphere. 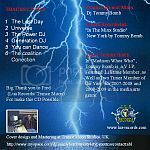 Tommy Bomb taught himself how to mix, at 16 he was matching the beats so well that everyone he knew wanted a copy of the tapes he made. At the age of 23, as a fluke he sent a tape of his mixes to the program director at Brooklyn Radio station b91(wkrb).He got a call and was in the mix Saturday nights. Then he decided to learn how tracks were laid down/mixed, so he went to audio engineering school. After that,he was taught midi by profile records producer Charlie Cohn. Later on, he started producing and mixing his own jams, even re-mixes of songs he felt needed some changing to work well in the clubs. 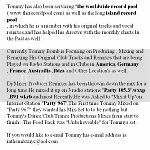 Tommy has also been servicing "the worldwide record pool,( www.therecordpool.com) as well as the long island record pool, in which he is a member with his original tracks and vocal remixes, and has helped his director with the monthly charts In the Past as well. Currently Tommy Bomb is Focusing on Producing , Mixing and Remixing His Original Club Tracks and Remixes that are being Played on Radio Stations and in Clubs in America, Germany, France, Australia ,Ibiza and Other Location's as well. The Feed Back was "Unbelievable" for Tommys set . 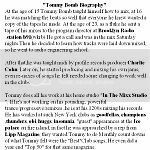 Tommy Bomb Tracks Recorded at"In The Mixx Studio" New York.